Jimmy Butler drives past the Knicks' Allonzo Trier during Wednesday's win. NEW YORK — The All-Star break for most NBA players is a vacation of sorts, and Brett Brown wants his 76ers to view it as such. When the team returns from the regular-season intermission, that’s when things will start to change. The Sixers head coach is confident that in the short time the newest iteration of this team has been together, the players have been able to absorb a template for what is expected from them on both sides of the floor. But it’s only broad strokes they have been given up to this point, like they are looking at a map from a bird’s eye view. After the break, that when things will start to come into focus. “When they come back, the pieces that represent that holistic approach, that’s where you’ve got to get clean, that’s where you’ve got to get detailed,” Brown said Wednesday. Brown and the players were encouraged by what they saw on Wednesday night in the Sixers’ 126-111 win over the Knicks. The team was moving the ball and playing unselfishly, and they didn’t lay down and die when the Knicks made a push in the second half. It’s those encouraging signs that make the season’s home stretch something to look forward to. In order to get to that point, the Sixers are going to get back to the basics. There won’t be any unexpected shifts in schemes or big changes to the way they play, and the players won’t be surprised by the plan following the break. That goes for the Sixers’ longer-tenured, veteran players as well. Revisiting what made the team click last season — the ideas and techniques that made the Sixers one of the top defensive teams at their most basic levels — will be good for them and make things clearer moving forward. 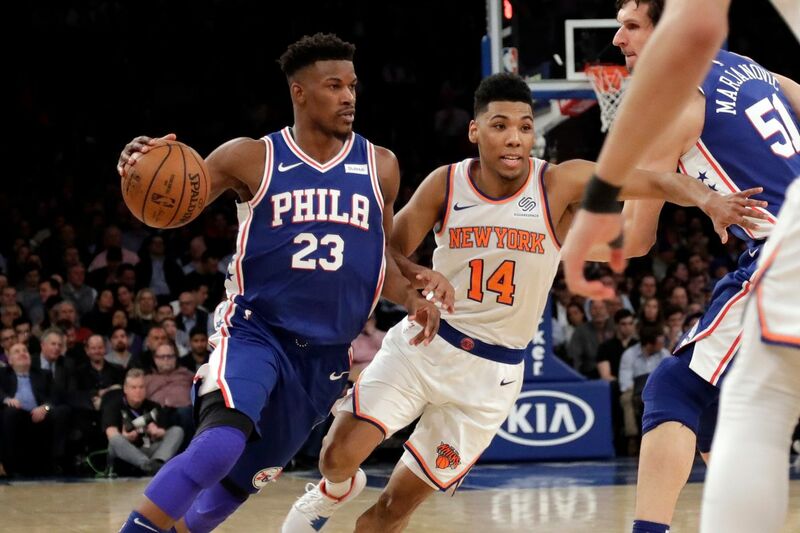 While heading into the break on the heels of a win over the Knicks is satisfying, the Sixers understand that there is still a level of growth that needs to happen, and their record against the East’s top teams is not something Brown is ignoring. Identifying ways to get past the conference’s elite clubs will be a part of the clean-up process.